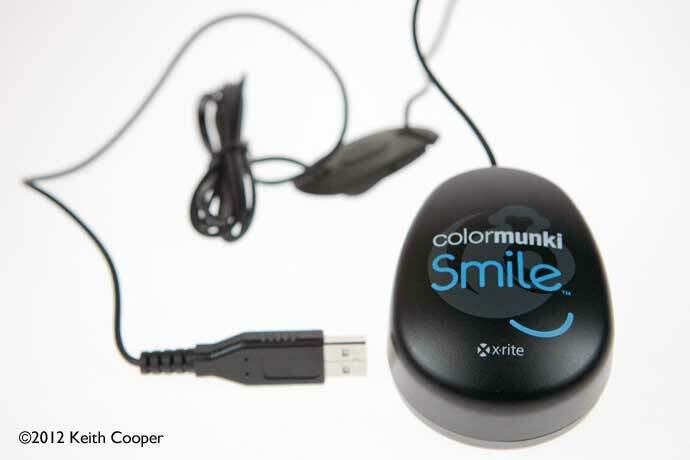 Keith has recently been looking at the new ColorMunki Smile from X-Rite. This entry level monitor calibrator places its emphasis on ease of use over refinement and absolute control over profiling setup. 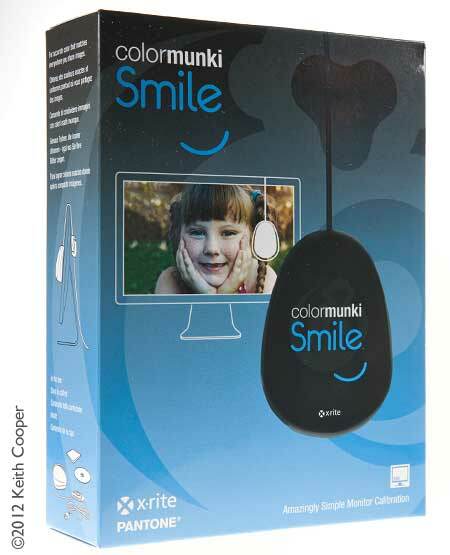 Note that this is a completely different device from the more advanced ColorMunki Display (monitor calibrator) and more expensive ColorMunki spectrophotometer, which you can use to build ICC printer profiles, as well as profile monitors. The examples shown here are from testing on Apple Macs, but the software generally works in the same way on Windows machines. Monitor profiling – why bother? If you look at the image above, then how do you know that what you are seeing on your monitor accurately represents what’s in the picture file? That may not matter too much if you only ever display your images on your own monitor, but what happens when it comes to making a print, or sending the image to someone else? It looks fine on your screen, but when you print it, everything comes out with a magenta tint. Look at the sunset photo to the right. 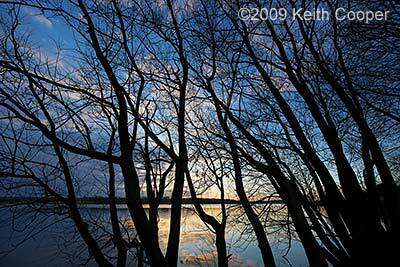 The range of tones from dark to light is an essential part of how this photo works as a large print. All of these things are affected in an unknown way if your monitor isn’t calibrated. 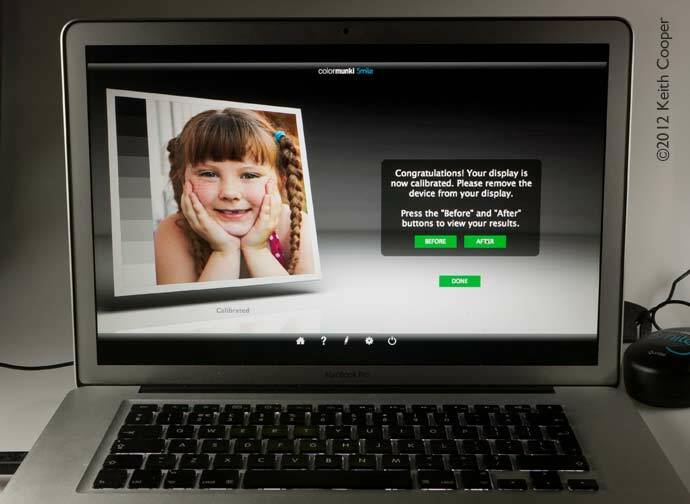 The software and measuring device you get with the Smile will measure the performance of a particular display (profile its behaviour) and you can be more confident that what you see, is what is in the actual photo. Significant benefits should also be apparent if you want to print your images (either yourself, or via some third party). There are many more articles on this site which go into a lot more detail about printing and colour management. 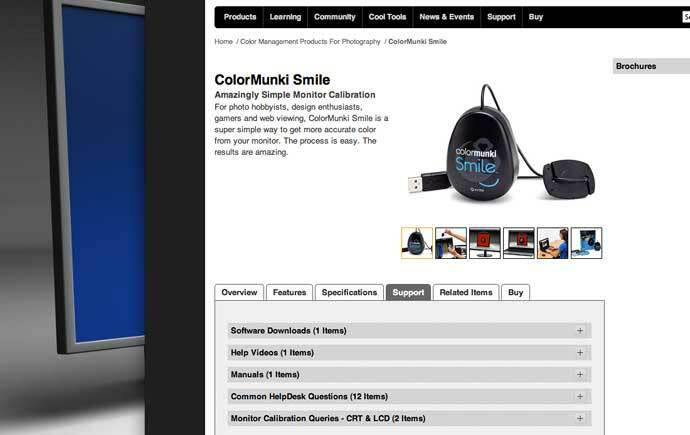 ColorMunki Display review – includes more background details about why you need to calibrate your monitor. 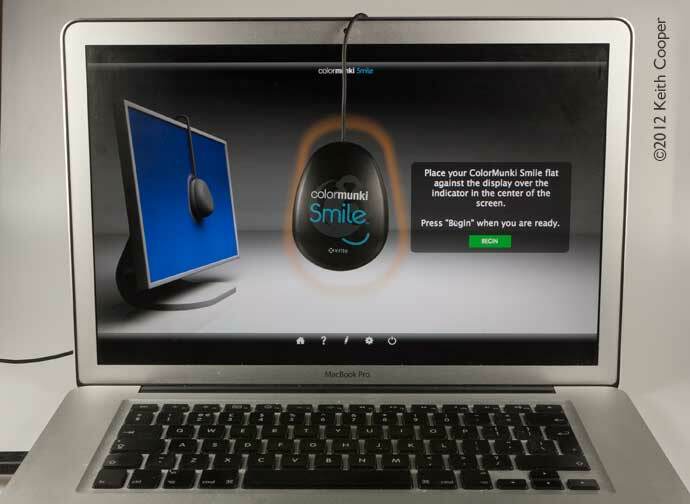 The ‘Smile’ was launched by X-rite [Sept. 2012]to supplement their range of advanced and professional measuring and profiling equipment. As I’ll show, the emphasis really is on ease of use, rather than any advanced control options. I’ll discuss this further in the conclusions, but in testing it, I’ve tried to put aside the fact that I do rather a lot of colour management related work, and look at it fairly, from the point of view of its intended market. 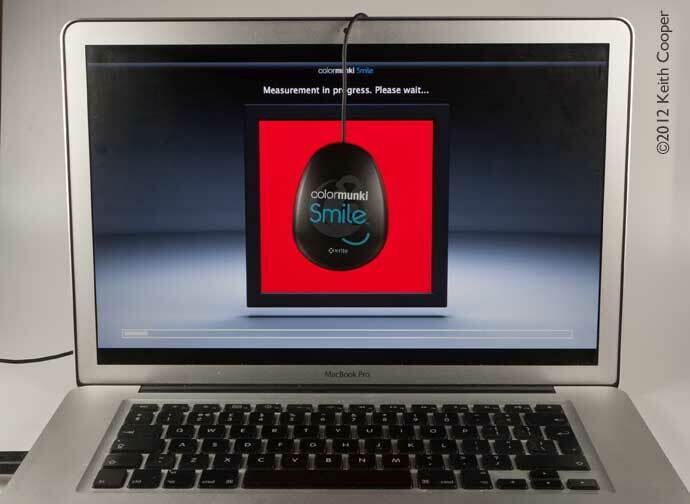 The device is USB powered and includes an adjustable counterweight on the lead, enabling it to hang in front of the screen that is being measured (the Smile also supports multiple monitor setups ). The underside of the device has a soft felt surface, both to avoid marking your screen, and to ensure that stray light doesn’t affect the light and colour measurements it takes during the calibration process. Three of these show (with careful lighting) coloured filters, which allow the device to measure both display brightness and its colour. These measurements are needed, since the calibration/profiling process relies on the software setting the display to a particular colour and then the device measuring just what light comes from the screen. The differences between expected and measured values are what are used to create the calibration profile for your screen. The software is installed from the supplied CD – there is no requirement for licensing, although you can register the software from within the application. The software can be installed on any computer you own. Here it is on my Apple PowerBook (which has an LED backlit screen). You need to place the sensor on the screen. If you tilt the screen back a bit, the sensor will rest on the screen more evenly. The screen then shows a number of coloured patches, which are measured by the Smile device. Once finished, a profile is created. This is automatically placed in the appropriate place for your computer system. Before and after calibration – move your mouse over the image below to see the ‘after profiling’ shot (the ‘native’ display setting of the MacBook Pro tends to be a bit on the blue/white side). That’s it – your monitor is calibrated. If you’ve a system with multiple displays, then this is detected at the start, and you have the opportunity to repeat profiling for another display. After profiling, keep your measuring device in a drawer (or the box), out of the way of dust and light – this will maximise the useful life of the device and help ensure its ongoing accuracy. In keeping with the ‘keep it simple’ aims, there are few setting you can adjust. 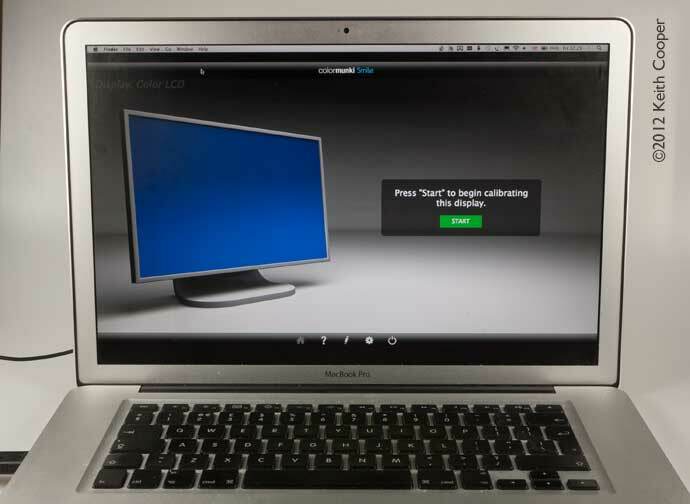 Re-profiling your monitor every week is a perhaps a little keen – once a month is much more reasonable (or if you think someone has altered your screen setup). The software identified other screen types I tested as LED or CFL based (‘standard’) and I didn’t actually need to set this option. If you access the help option, then a web page is opened up with more ColorMunki Smile information. This really is the easiest monitor calibrator I’ve ever used – nothing to set up and nothing to decide about calibration and profiling settings. If you just want a better set up screen and confidence that your display is showing the correct colours, then that’s it. Plug it in, run the software and you’re done. X-rite have realised that there is a considerable market for monitor calibrators amongst people who quite frankly couldn’t care less about gamma and white points – they just want better colour. Just one warning, if you are using the Smile and making your own prints. If you have your monitor set too bright, then the tendency, when editing your pictures, is to make shadows darker to get a range of contrast that looks good. If you then print this, the darkened shadows get even darker, leading to the common ‘my prints are too dark‘ problem. Profiling/calibration alone won’t fix this. Suffice, to say, my own Apple display is set to about 35% of full brightness (I set my displays to a known brightness, but you need more advanced kit like the i1Display Pro for that). Of course, being someone with more than a hint of curiosity about such matters, I went and had a look inside the ICC monitor profiles created. Luminance values for your screen are neither set, nor displayed anywhere, so with multiple monitor setups, you’re going to have to balance screen brightnesses manually ‘by eye’ before you set out. The sensor design looks very much like the old i1Display device, right down to the four sensor openings, three with coloured filters. 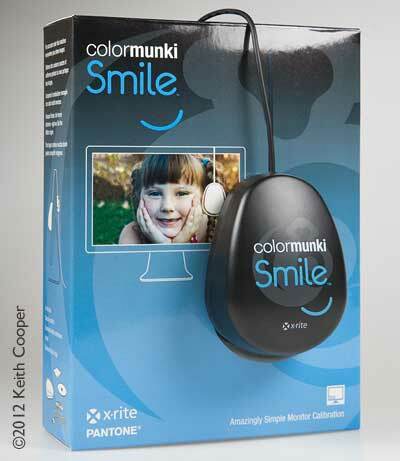 From X-Rite’s product information I note that profiles are produced by the same underlying process as with the ColorMunki Display and even i1Profiler software. The profiles generated were very similar to ones I’d produced when testing other modern X-Rite devices. 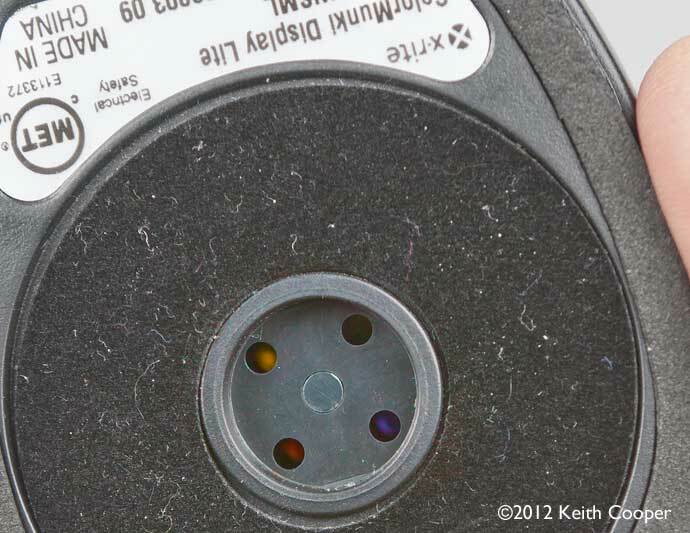 Note – Keith regularly tests beta versions of equipment and software for X-Rite and other manufacturers. Neither Keith or Northlight Images has any business connections with these companies. Our impartiality is important to us – see our review policy for more info. 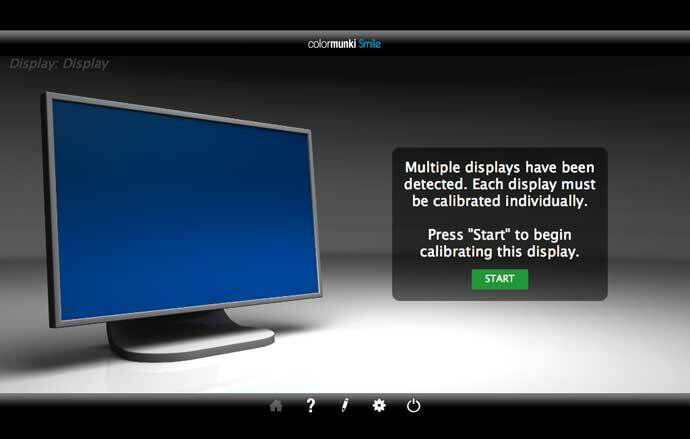 Monitor calibrator with support for multiple monitor systems. 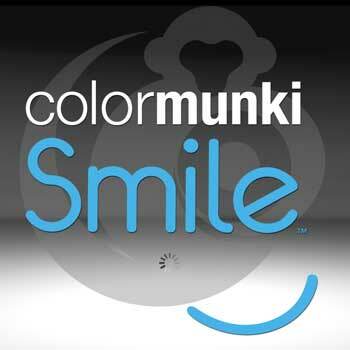 Uses ColorMunki Smile software for calibration and profile creation.